In today's marketplace, Benelli often ranks as one of the absolutely worst values out there. There is no escaping it, for all you have to do is look at the latest Benelli Ethos Sport shotgun. Benelli took the Ethos which was already no one's bargain at $2099 with a nickel-plated aluminum receiver, added a bit wider rib and barrel porting, then jacked the price to $2269. At 6.6 pounds, the Ethos is no one's version of a dedicated clays gun, and the addition of unsightly, ineffective barrel ports just makes an even more overpriced, more undesirable shotgun. Overcharging this much for an allegedly super-simple shotgun gets you very uncomfortably close to O/U territory. A real dedicated clays-smasher is the Fabarm Elos N2 O/U, with target triggers and an adjustable comb is $2795. The plainer Browning Citori CXS O/U has an MSRP of $2139, actually less than the Ethos Sport. Most people understand that fishing lures are designed to hook more humans than fish, and that seems to have spilled over into shotguns as well in some areas. The inertia shotgun itself is one of the oldest semi-autos. Patented in 1900, 1903, and 1905 by Carl Axel Theodor Sjögren of Sweden, it was produced in 1908 and 1909, seeing service in World War I. Sjögren's design was functional but inelegant. The inertia design essentially ignored until Bruno Civolani's 1967 “gun with a floating bolt breech bolt” patent of 1967 that was the foundation of the Benelli Brothers venture into firearms. The over-used saying, “You get what you pay for,” is true. If you buy overpriced junk, well, that's what you get. If you buy products that are just rip-off priced, that is precisely what you get and also what you deserve to get. Wallet-recoil is invariably self-inflicted. There is a fundamental reason why Turkish product is capable of being a supremely good value for the American consumer: the Turkish lira. On July 12, 2018, the Turkish lira hit a record low against the U.S. Dollar. The Turkish lira has plummeted 22% just this year alone. If you go back to January of 2012, one dollar was worth 1.88 Turkish lira. Today, one dollar is worth 4.84 Turkish lira. In 2018, the Turkish lira has a value of only 39% of what it had in 2012 in USD terms. A 60% discount is a stunning discount to essentially everyone, and the value to the American consumer is built in, assuming it is the product that you want. This also explains why several companies (Browning, Beretta, etc.) sell increasingly large percentages of Turkish product and why your shotgun that is full of sourced parts is full of sourced parts from Turkey. Turkish manufacturers can often do it just as well and far cheaper than countries hooked to the Euro. When Mossberg markets their SA-20, it is Armsan product. When Weatherby sells their SA-08 or their Orion I, it is ATA product. The “Winchester” SXP by Browning is made in Turkey as well. It isn't just the shotgun market that has changed. Consider that South Korean firm Samsung was founded in 1969. Samsung now has over 320,000 employees in 73 countries and is the largest manufacturer of smartphones in the world. Samsung also has a better than 20% market share of LCD televisions, dwarfing the 12.1% market share of #2 LG Electronics handily. LG Electronics is also headquartered in Seoul, South Korea. The old biases and preconceived notions have been rudely rejected by facts. Fact is, at one time the Japanese were labeled as thick goggle-glassed copyists that could make little more than AM radios and mopeds. Today, Toyota is the largest automobile manufacturer in the world. The times they are a-changin', and though Bob Dylan wasn't singing about flat screens, smartphones, or shotguns . . . he could have been. Benelli's have excessively heavy trigger pulls. In that regard, the Retay Masai Mara is very similar and no better. The Retay Masai Mara has a machined ejector that is easier to replace. As I've never replaced a Benelli ejector, or an inertia gun ejector at all, the benefit is only theoretical. The factory trigger break weight. The excessively small cross-bolt safety needs to be larger for use with cold or gloved hands. The factory owners manual is not well-written and vague. As it is multi-language, it is cumbersome to navigate. The Retay Masai Mara is better presented, with a better hard case and more factory accessories. The milled alloy trigger group is all-metal, not plastic. It is more durable, less prone to stretching, and the trigger guard itself has no unsightly mold lines. The tool-less, one button quick release trigger group means easier cleaning, easier removal and replacement, and with no pins to drive out, you won't accidentally mar the receiver. The rib is slightly wider than the standard Benelli rib and provides a better reference point as a result. The walnut is higher grade than standard Benelli fare: more pleasing to the eye, and more satisfying. The loading is easier than on many Benelli's and most inertia guns: no Benelli Thumb. 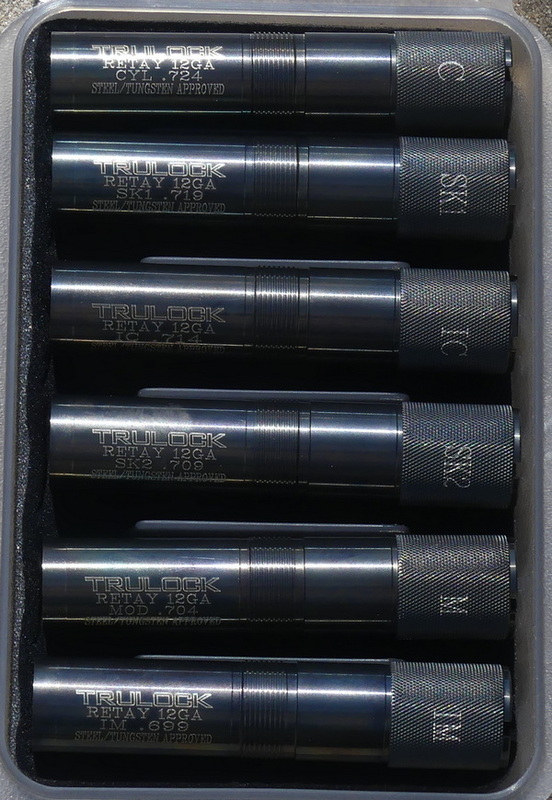 At least three of the Masai Mara models (Greycon, Bronze Pure, Satin) have Cerakote coated receivers, meaning far greater scratch and abrasion resistance than standard anodizing. Most importantly, the Retay Arms patented Inertia Plus bolt is standard equipment on all Masai Mara models and eliminates the nasty “Benelli Click” with no price premium. Although some have used 7/8 oz. loads, I can tell you that the Masai Mara handles soft-shooting 1200 fps 1 oz. loads not just adequately, but with authority and satisfyingly positive ejection. You can see the ejected hull in the following image. In the United States, most Turkish shotguns have very little brand identity. 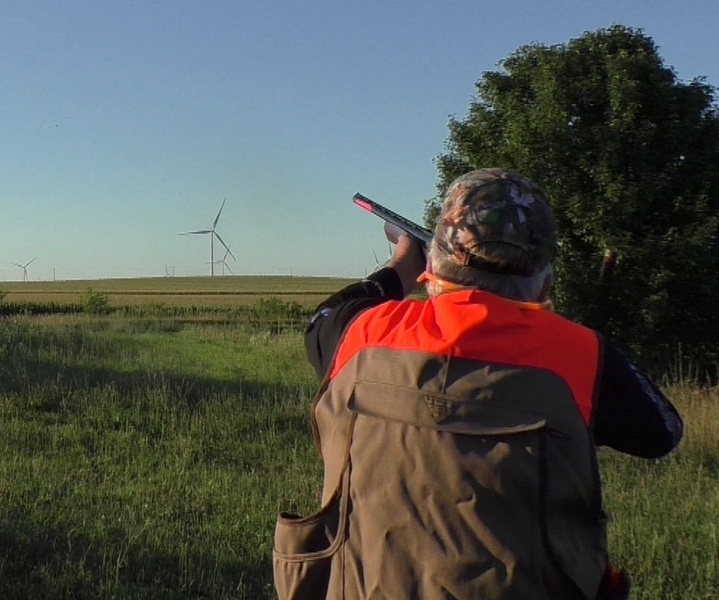 If you asked 100 people who makes the Winchester SXP and at what location, you'd stump the panel. Likewise, most folks would not have a good idea who Armsan or ATA actually is, for they are not often sold under their own name. Retay Arms is taking a different approach, as this fairly new company has a battery of new SNC machining centers, and takes pride in their high-quality name-brand raw materials, such as the Austrian steel from Böhler that they make the Masai Mara barrels from. Briley handles the warranty work for Retay USA and as far I know, they are like the lonely Maytag repairman: they are still waiting for their first Retay Masai Mara to be sent in for warranty evaluation. Trulock Chokes, https://trulockchokes.com/ , has finished making their Sporting Clays and Precision Hunter choke tubes for the Masai Mara and I have them incoming for pattern work. The Precision Hunters are shown above. 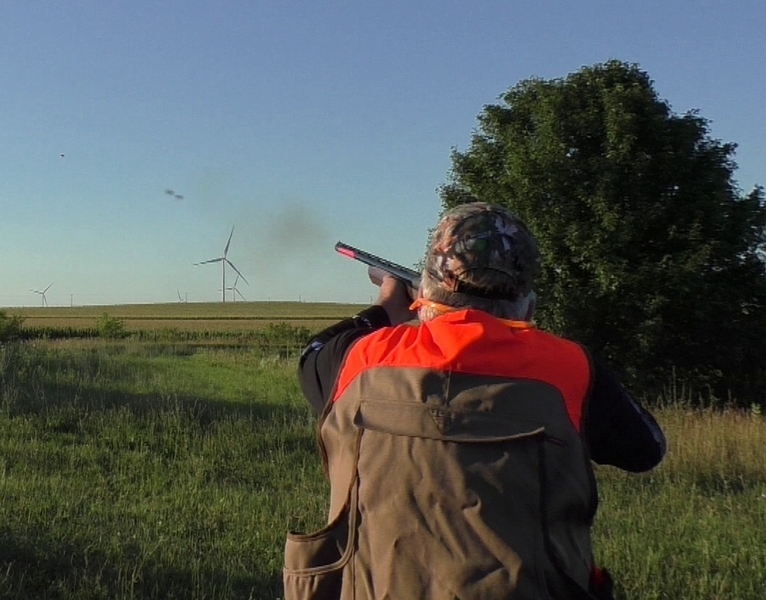 All designations through Improved Modified are rated for steel and tungsten shot: the Full and Extra Full chokes are tungsten rated. They are available for immediate shipment right now. Retay also offers a tactical / HD model, the “Warden,” and those have already been shipped to dealers and are a stock item at Retay USA. A 20 gauge Masai Mara and a 3-1/2 inch 12 gauge Waterfowl version are both in the works, but I have not seen either as of this writing. In many ways, the Masai Mara is indeed a “Better Benelli than Benelli” and at the prices they are available at in the United States, they are a resoundingly better value in anyone's book. If you'd like more information, e-mail Chris Handy of Retay USA at chris@thomasferney.com .